This is me, "holding" my sister (Tiffany Myers') baby! Well little Miss, and the newest member of our family, will be here sometime next month...and I'm so excited! 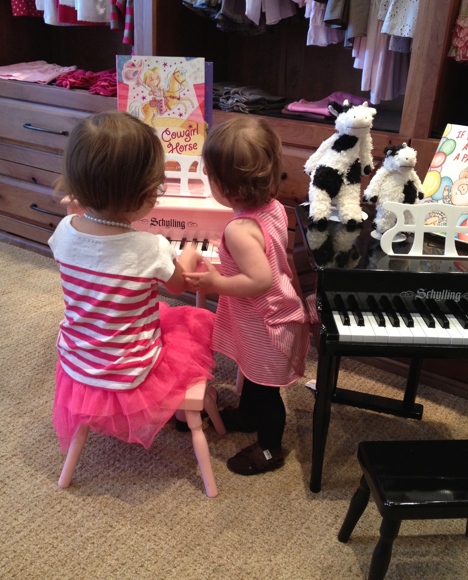 I got to see my sister this weekend, which only felt like a minute...but I'll a take a minute over no minutes anytime! I don't know why, but it just amazes me to see my lil' sister pregnant....I mean we grew up playing "baby dolls"...and pretending we were lil mommies...but I know the miracle and gift of a precious baby that is cozied up, all safely inside her tummy...and it's just AMAZING! 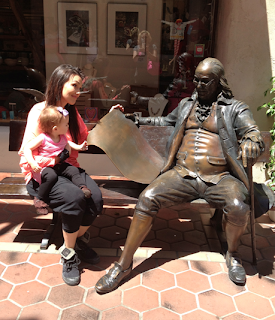 Plus, sister if you're reading this: there's still time to name her after her only Auntie Kandee! 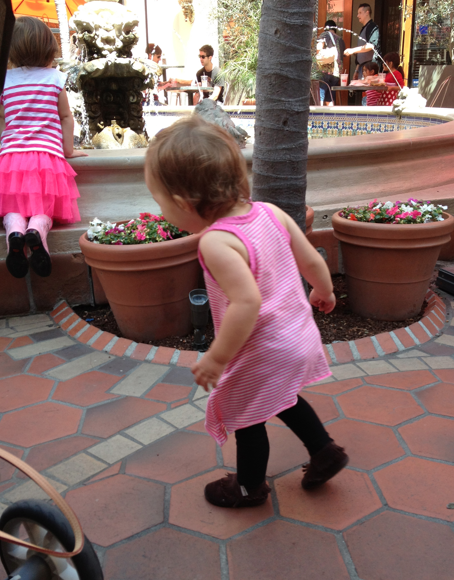 My little lady enjoying the warm Santa Barbara day....and just look at my neice in her bright pink tutu and cowboy boots....I love her fashion sense! After we had a yummy breakfast - I had the best blueberry pancakes with homemade blueberry syrup at Jeannine's Downtown- if you're ever in Santa Barbara- try to go there to it! It's so yummy!!!!! 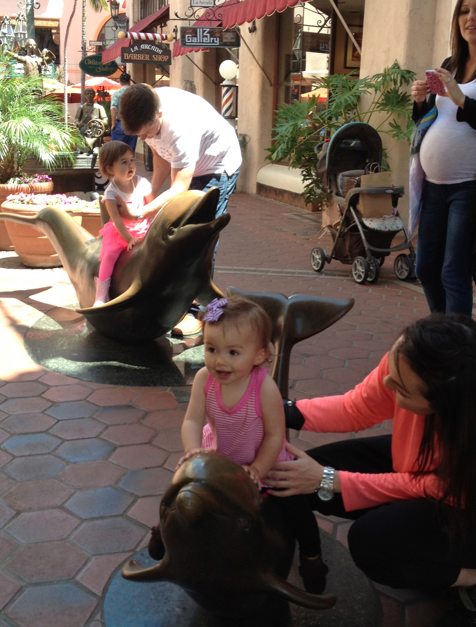 Elyse loved riding the mini dolphin, and you can see my neice, Sydney riding the bigger dolphin in the background with my brother-in-law, Byron and my sister and her baby belly taking pictures! 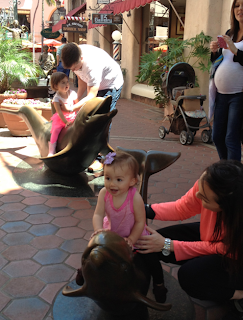 We really loved this mini dolphin statue! 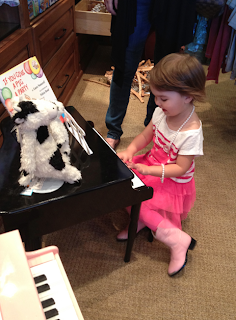 I just adore my lil' niece and her fashion sense- Tutu's, big jewelry and pink cowboy boots! She also loves make-up, and she had even drawn on her eyebrows with what looked like one of my sisters red lip liners...she looked amazing! 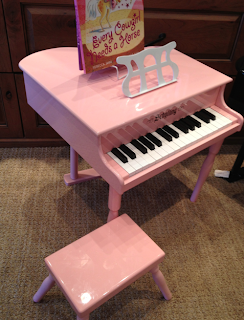 How cute is this little pink baby, baby grand piano we saw in a store!?!? This was a little slice of heaven day! And I miss her, I miss my niece and how when I asked my brother-in-law if there were any "fun stores" around where we were....he said, well "I only think golf stores and ice cream places are fun"....ha ha ha ha ha...I miss him too.